Jan 13, My 70th birthday!! I got 8 inches of snow!! Fri, Jan 18 -20: Virginia Consortium of Quilters Annual Board Meeting/Retreat, Brandy Station,VA. Twelve+ quilters for a long weekend meeting - a slumber party!! 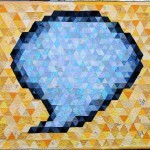 Tues, Feb 3 - July 19:Virginia Quilt Museum exhibit. 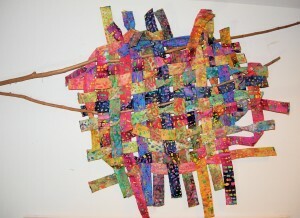 I will have two art quilts in the museum to showcase the work of the Madison County Quilters Guild. 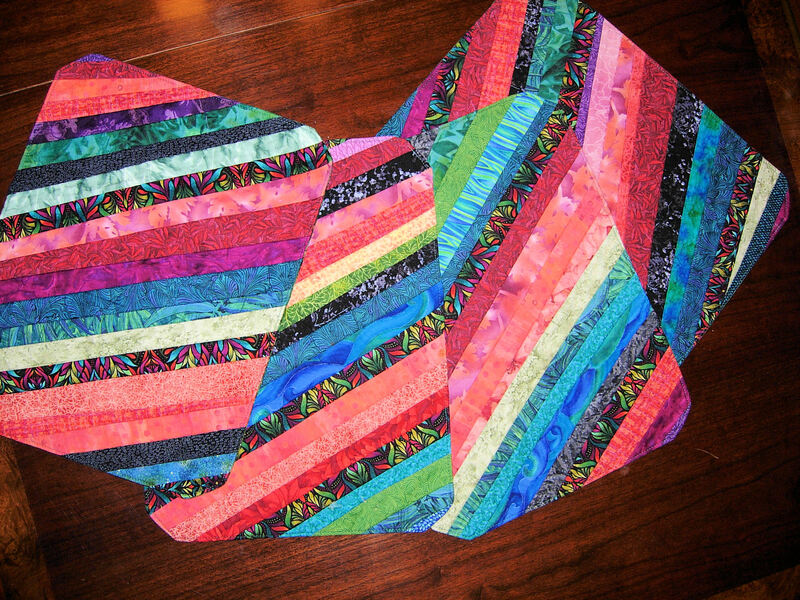 Sat, March 2,10-11:30am: Friends of the Culpeper County Library presents Quilts Past &Present. Travel through history using quilts as your guide. Local master quilter, Deborah Schupp will offer her personal collection to explain the impact current events have on quilting. 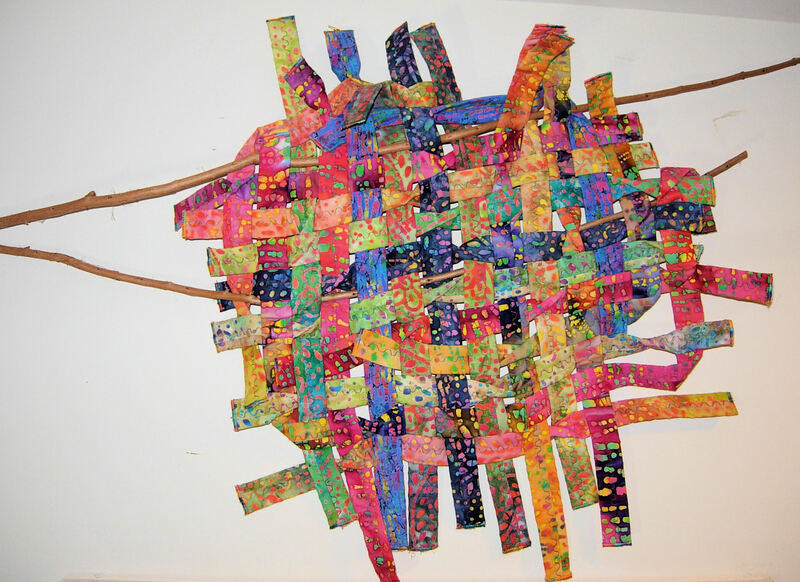 Thurs, April 4: Quilters Unlimited,Haymarket,VA; ”Though a Woman’s Eyes” presentation,patterns: Newcomb Pottery (Tulane Univ), Mardi Gras regalia (queen’s beaded dress, crown, scepter from 1969 ball) and the role of local women in the recovery from Hurricane Katrina. 301 South Main Street,Harrisonburg,VA 22801. Seating is limited. Tickets available through Eventbrite. 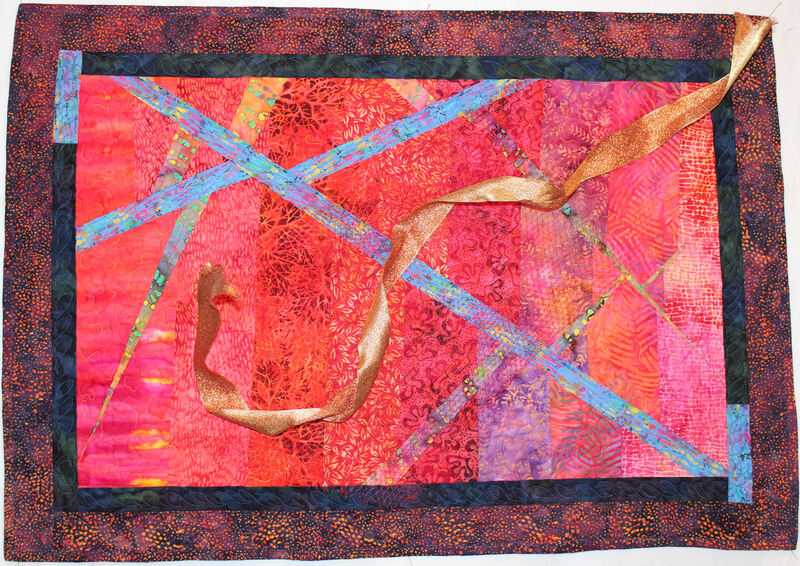 August 9 –10: Virginia Consortium of Quilters Quarterly retreat in Culpeper. Teaching workshop “Summer Garden”. Go to www.vcq.org for details. Thurs,Nov 7, 1pm, Friends of the Culpeper County Library members annual meeting. 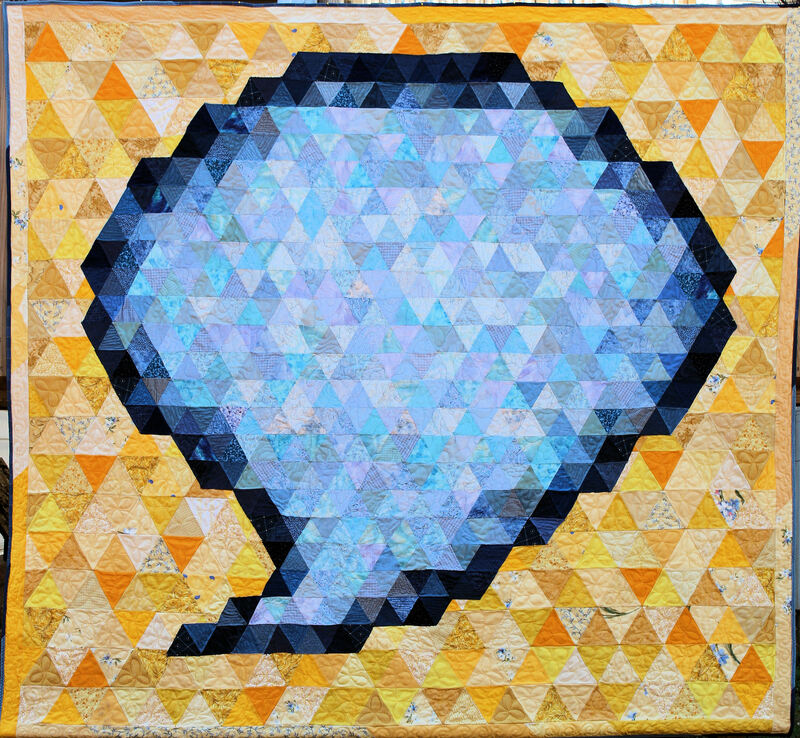 October 26, 2018: Opening Reception, The Art of the Quilt Invitational Show: Theme:Trends. Piedmont Arts Museum,Martinsville,VA. Show dates: Oct 27 –Dec 29. I will have one textile art work on exhibit. 75″wide x 50″high. 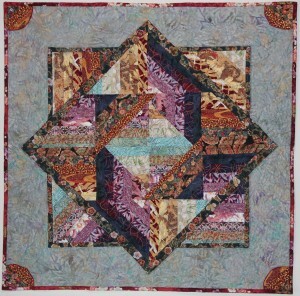 Nov 3,9am: Colonial Piecemakers Quilt Guild of Williamsburg,VA. Presentation “Ignoring the Quilt Police”and Bargello Delights workshop. Jan 13 –15 Virginia Consortium of Quilters Annual Board Meeting/Retreat,Brandy Station,VA at my house. 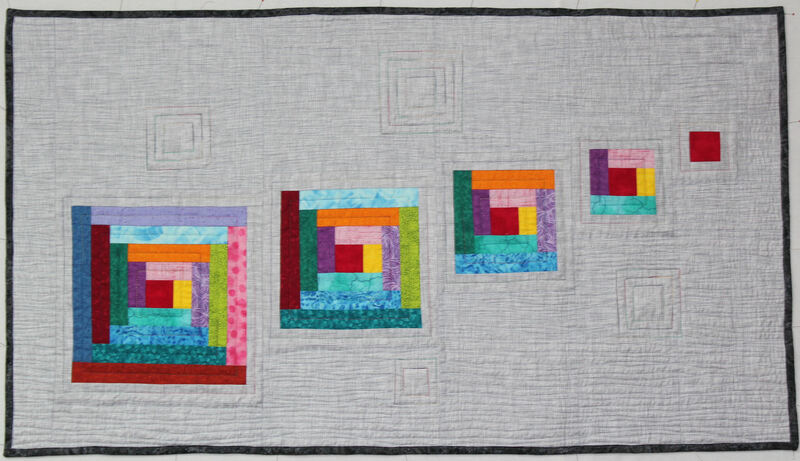 Twelve quilters for a long weekend meeting –a slumber party!! 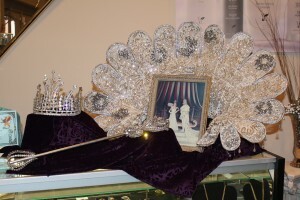 February 28 –MARDI GRAS,New Orleans,LA. March 13 –Madison County Quilters’Guild meeting CANCELED DUE TO SNOW STORM! 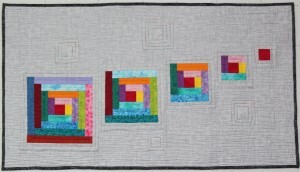 March 18 –Culpeper Quilt Guild retreat. Drawing for raffle quilt. Create next raffle quilt. July 24 –Arts &Culture Center in Culpeper:hang show. Two quilts on exhibit through Sept 5. September 18 –Arts &Culture Center fiber art show intake. Three textile works on exhibit through Oct 30. November 13 –Arts &Culture Center Best of the Piedmont show intake. 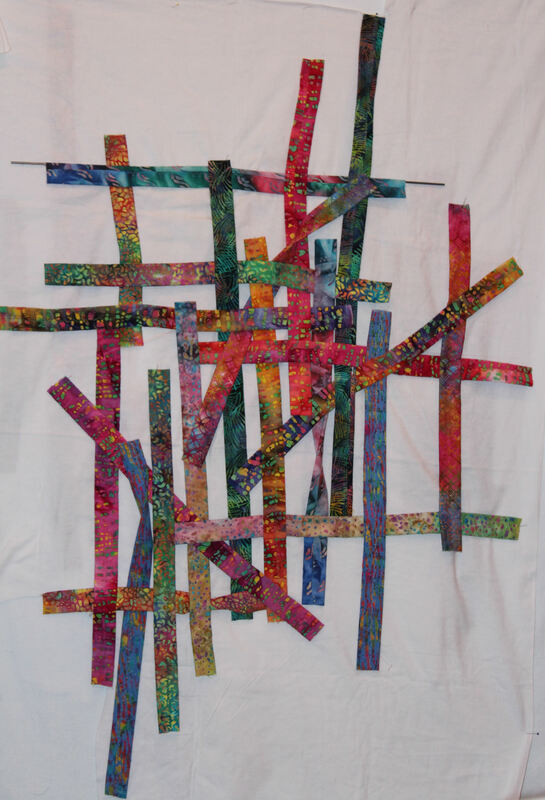 Textile work on exhibit through Dec 18. November 21 -NO Sit & Sew this week! February 9 –MARDI GRAS,New Orleans,LA. 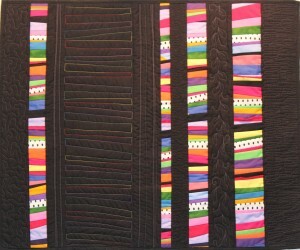 Sat,March 19,9am:Workshop on Guild raffle quilt. 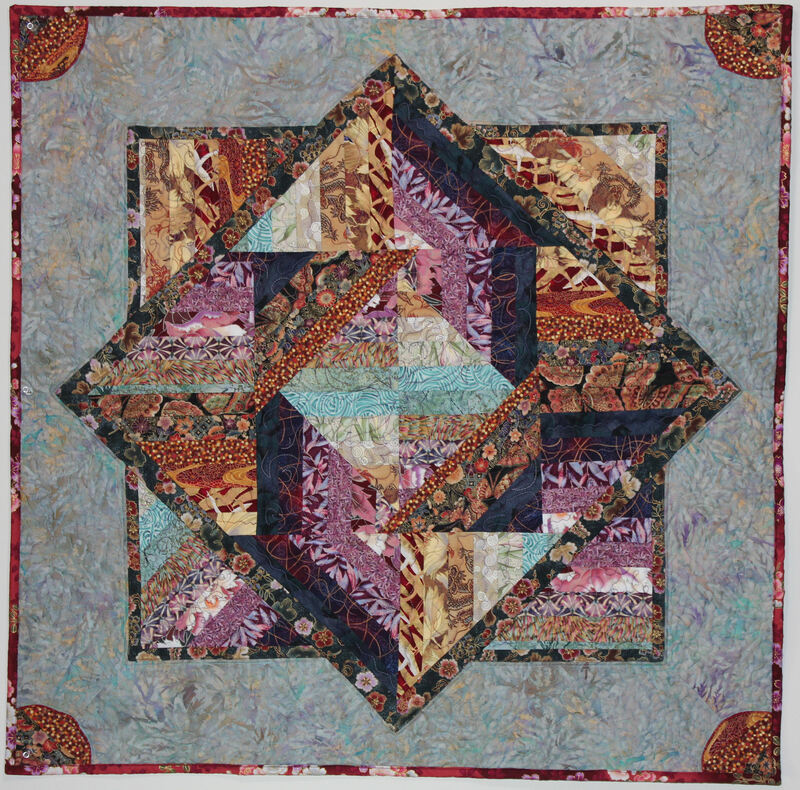 Nov. 16 –10am - Annandale Quilters Unlimited chapter. “How I Ignore the Quilt Police”. March 12 –7pm. Culpeper Guild meeting. Demo use of bias binding on curved edges and inner corners. March 14 –Culpeper Tells…a Festival of Words,Friends of the Culpeper Library Storytelling Festival. Tickets at www.culpepertheatre.com. March 21 – Workshop:9:00am-2pm. Sisters Choice Quilters Chapter of Quilters Unlimited,Falls Church,VA. “Fractured View” wall quilt. September 17 –Nov 12 –Art &Culture Center of Culpeper “Best of the Piedmont”exhibit At the State Theatre on Main Street in Culpeper,VA. 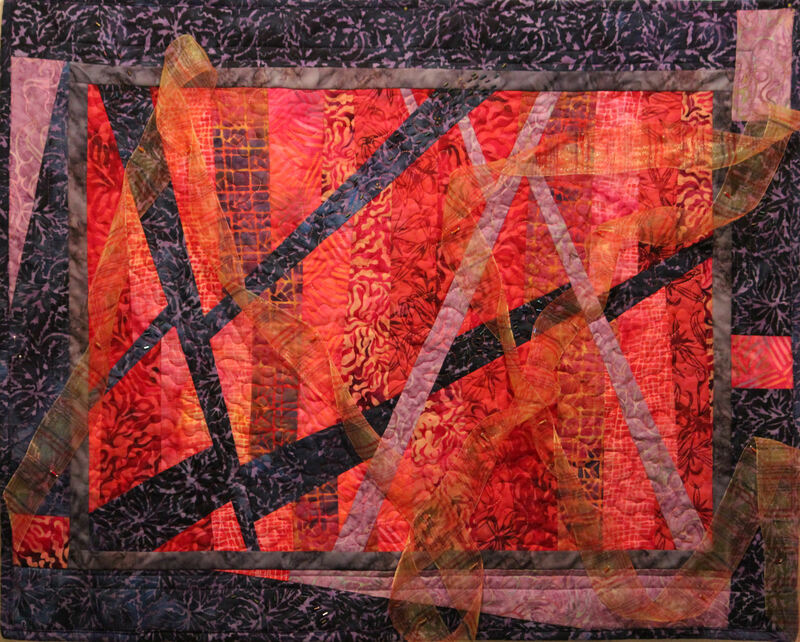 Three art quilts on exhibition. 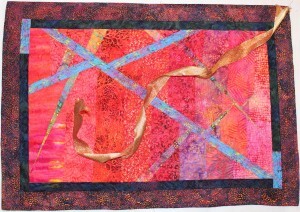 March 7-8 - Virginia Consortium of Quilters (VCQ),Kilmarnock,VA. March 15 –Culpeper Tells…a Festival of Words,Friends of the Culpeper Library Storytelling Festival. Tickets at www.culpepertheatre.com. March 19 –Hand Surgery. In cast/brace for 6 weeks. Ouch! July 19 –Trunk Show: 10am. Shenandoah Valley Quilt Guild,Harrisonburg,VA. “A Study in Value”. July 19 –Workshop: 1pm. Shenandoah Valley Quilt Guild,Harrisonburg,VA. 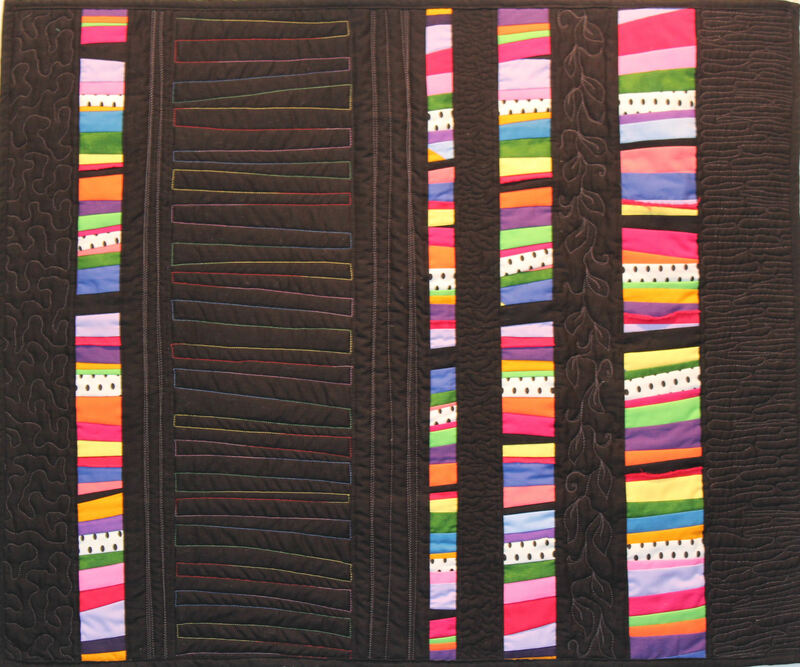 “Bargello Delights” wall quilt. March 9 –Workshop: 9am –3pm. Virginia Consortium of Quilters (VCQ),Culpeper,VA. 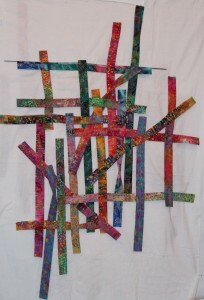 “Fractured View” wall quilt. 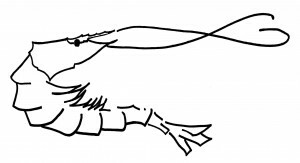 March 16 –Workshop: 9am –3pm. Culpeper Quilt Guild for National Quilting Day,Culpeper,VA. “My Favorite Project Tote Bag”. May 13 –Demo: 7pm. Madison County Quilters Guild,Madison,VA. “Fusible Fleece in tote bags”. June 8 –Workshop: 9am-2pm. 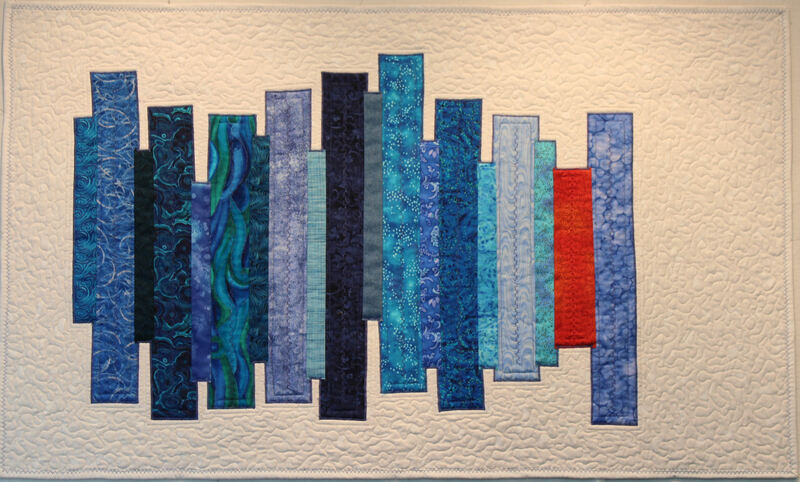 Tidewater Quilt Guild,Virginia Beach,VA. 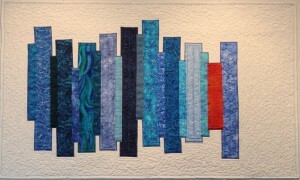 “Heading Up Stream” wall quilt. June 10 –Trunk Show: 7pm. 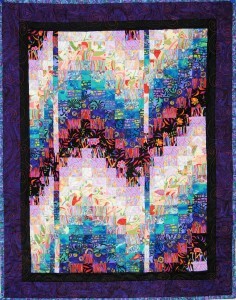 Tidewater Quilt Guild,Virginia Beach,VA. “How I Ignore the Quilt Police”. October 19 –Introduce speaker Suzi Parron,author of Barn Quilts, hosted by Culpeper Quilt Guild at the Culpeper County Library,10:30a.m.